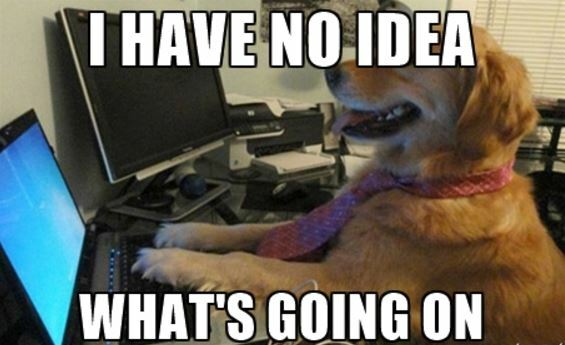 After roughly a week of prototyping, we unfortunately had questions coming in at the rate of answers. Can we build an effective shooter, despite relatively little team experience, by using online resources to get close and then dial it in? Will a roller or belted intake function properly this year with our preferred over-bumper design? We know we can pickup a gear, we know we can place a gear, but can we do this in a space efficient way to allow room for a reasonable hopper (30-40 balls?) and shooter? What does this hopper design look like? Designing a hopper that shakes a ball out every now and then isn’t an issue. Designing a hopper that can feed balls out at 2-4 ft/sec (~3-5 balls per second) without jamming… is a non-trivial engineering challenge. We did get a little data this week though. We built an “upgraded” shooter prototype with dual rails to support the ball, thinking we could get better control over the compression. In actuality, we ended up with a ridiculous amount of backspin and very little control. We also upgraded our controls to be a battery, with a Spark + attached PWM signal generator, to start setting the RPM on the shot. We also ordered a 4″ neoprene roller shooter wheel that we’ll test this weekend. Progress continued on our passive gear manipulator, which we expect to have for Rev 0.5 of the robot in the next week or so (full drivetrain with prototype manipulators). We are both working on improving the existing prototype as well as CAD on a new one. Finally, we were able to start opening up our shop to help rookies in the area. 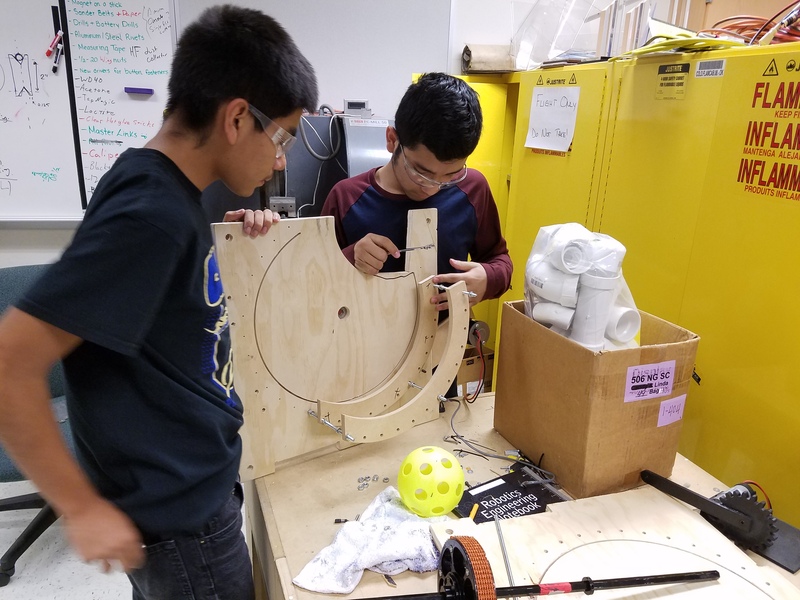 We know FRC can be intimidating for new teams, and it wasn’t too long ago we were basically at a rookie skill level. 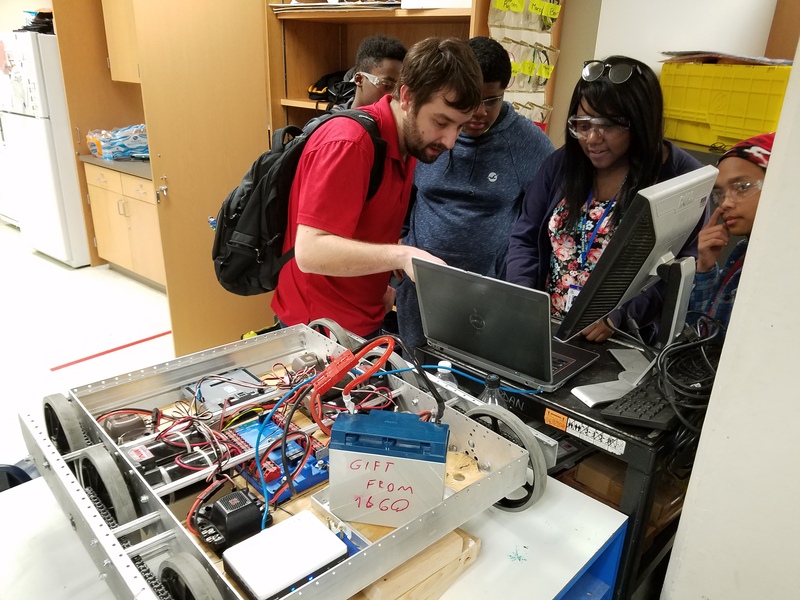 Garland High School – FRC6687 – Owltronics has a strong group of teachers and students mechanically, but needed a little help doing the initial programming of their robot. Our programmers were happy to assist, and got them going on an XBox controller as well.